It’s like I jinxed the weather! All of a sudden winter has arrived in London and it’s bloody freezing… And when it gets cold all I want to eat is comfort food while sitting under a blanket with the heating on. But comfort eating doesn’t have to mean letting your clean eating plan go, here’s my hints and tips on how to ‘healthify’ some of my favourite recipes. 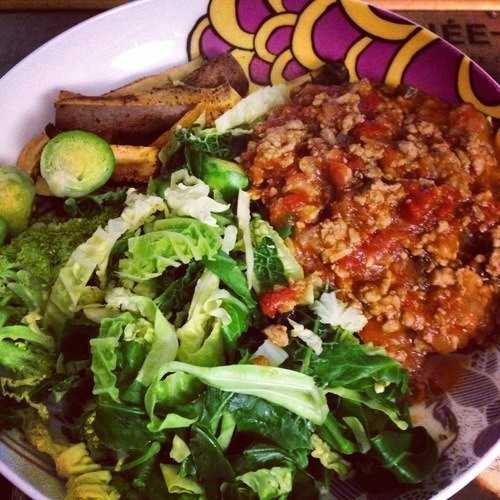 Minced meat is one of the most comforting dinners in my opinion, you can make it into so many things! Lasagna, shepherd’s pie, bolognese, chilli, the list is endless. Shepherd’s pie has got to be made with lamb mince so why not lighten up the topping by using a mixture of sweet potato and carrot rather than white potatoes? Simply boil 2 large sweet potatoes with 1 large carrot and mash with a tablespoon of coconut oil (to give it that creaminess) and some salt and pepper. 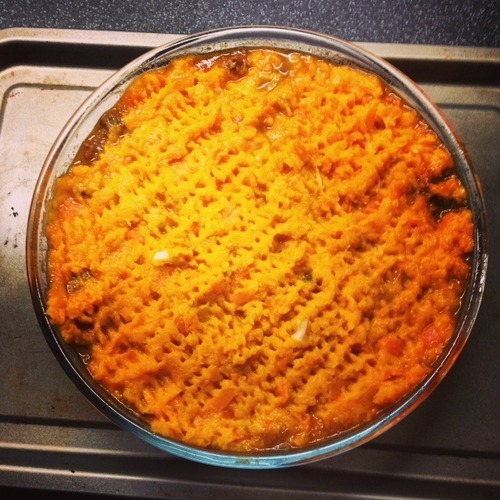 Top your cooked mince with the sweet potato/carrot mixture and bake for 45 minutes until bubbling and delicious. For a start, try lean turkey mince rather than beef to make your chilli, you won’t be able to tell the difference, I promise! It’s still high in protein but it’s naturally lower in fat. Then, once it’s ready, serve it with some roasted sweet potato wedges and a big pile of steamed greens rather than white rice. 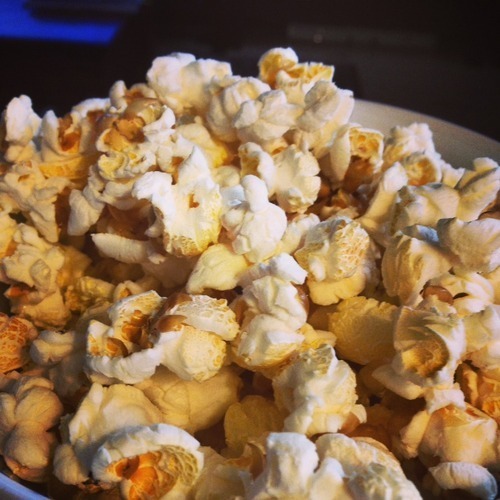 Corn kernels are very cheap to buy in the supermarket and so ridiculously easy to make that you’ll wonder why you ever spent money buying any other popcorn! Put a handful of corn kernels (it makes more than you think!) in a microwave-safe container, cover loosely with a plastic lid and microwave on high for 2 minutes. Take out the popped kernels and put the remaining unpopped kernels back in for another 2 minutes, continue this process until they’re all popped. You can then sprinkle with salt, coconut sugar or a teaspoon of butter and cinnamon, basically whatever you want! But keep the toppings light otherwise you’ll undo all the good work you’re doing by making your own popcorn. This one is so simple! 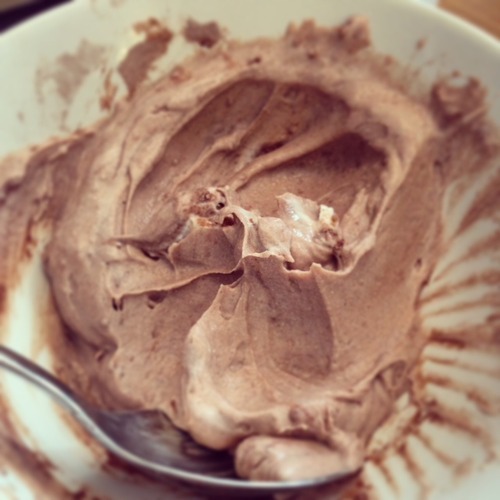 Buy some yogurt (I prefer full fat goats milk yogurt) and freeze it. See, I told you. Just remember to stir it every 20-30 minutes so that it stays creamy, or use an ice cream maker if you’re lucky enough to have one. Again, you can flavour it with anything. I like a scoop of chocolate or vanilla protein powder, some crushed raspberries or if you’re feeling posh you could make a syrup of agave infused with basil and lemongrass to mix in. So there you go! Although we all struggle with staying on the straight and narrow when there’s biscuits and cakes in the office, or the allure of the takeaway menus in the drawer, you can eat comfort food to soothe your soul and still stay healthy. What recipes would you like to see made healthy?